In Rosen movement, healing manifests itself as a reclaiming of free and easy movement. Rosen Method movement is based on physical therapy exercises playfully executed and set to music. The body begins to move again as a whole with the freedom of early childhood. 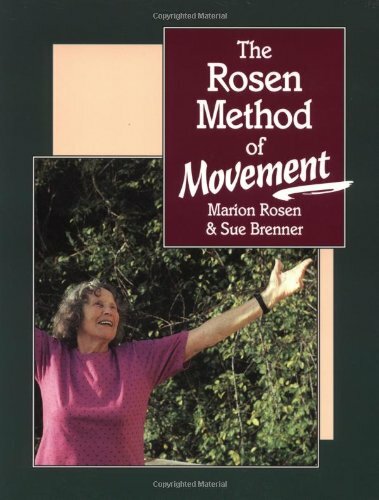 This book gives a history of Rosen Method movement, discusses the physiological basis of movement, and recommends exercises and music. While working as a physical therapist in Oakland in the fifties, Marion Rosen was asked by several clients how they could prevent aches and pains and avoid physical therapy treatments. This question inspired Rosen to begin teaching movement classes in 1956.The Rosen Method of Movement describes these preventative exercises in detail. Marion Rosen continued in the next four decades to become, alongside Moshe Feldenkrais, Milton Trager, Ida Rolf, and Alfred Lowen, one of the major progenitors of a system of bodywork, which connects breathing, emotional responses and body functioning.